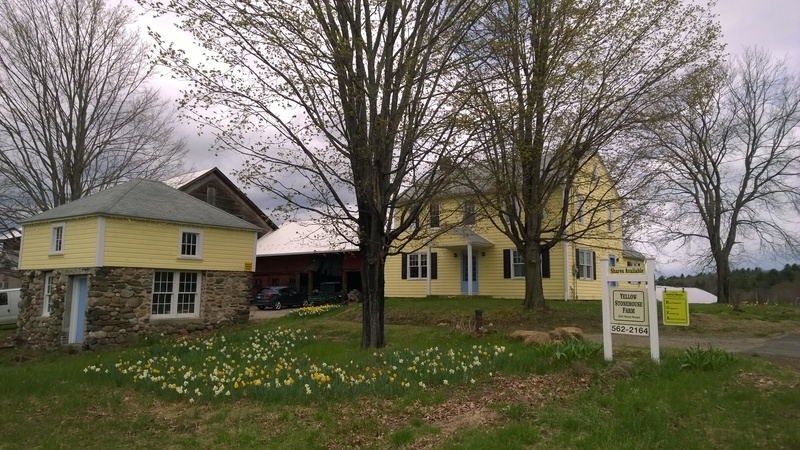 Our farm has a rich history as part of the East Farms section of Westfield, originally settled by the Root Family, (thus the name of our street – Root Road). We can’t wait to research the farm’s history, which dates back to the 1840’s, during our winter break. Did you know that Westfield started out as a purely Agricultural community? Amazing how few farms are left in Westfield considering that it was first settled because of its rich agricultural soils. For its’ next 150 years almost the entire town was devoted to farming! Agriculture is an essential part of Westfield’s heritage that shouldn’t be lost, and we consider keeping that history alive part of the farm’s mission. Some projects we are thinking about are to get the farm and barns historically registered and another is to get East Farms recognized as a unique and special agricultural part of Westfield. 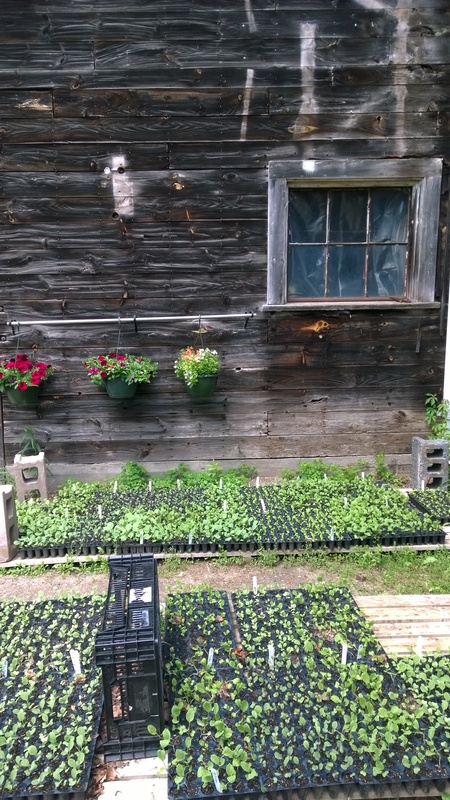 Historical research is hard to pursue during the growing season. 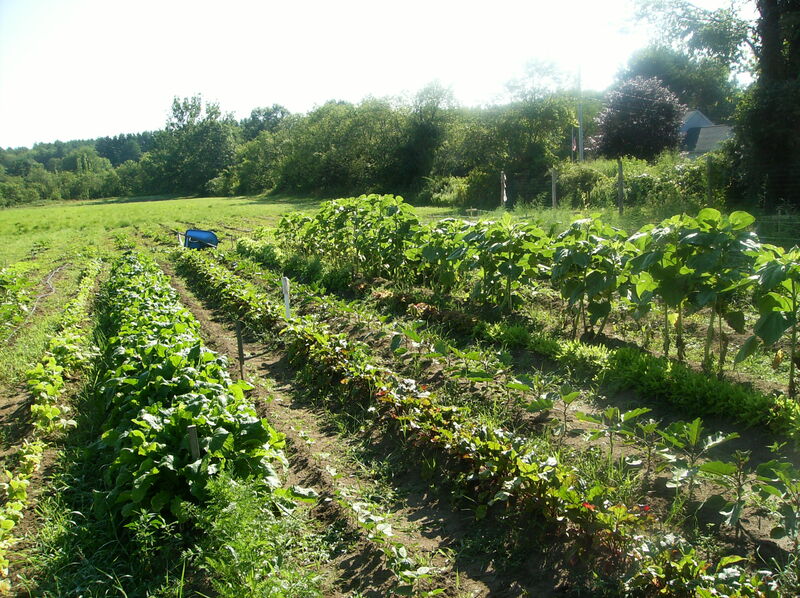 There’s just so much to do when the vegetables are producing – in addition to the picking, we have to weed, cultivate, plant, man the CSA market, and this year due to the drought, we had to irrigate. Our days last from dawn to dusk and it’s fortunate fresh vegetables are easy to cook (thank you tomato mozzarella salad) or we’d be too tired to make dinner some days. Farming is relentless – you can’t decide to not pick the tomatoes or postpone the weeding, skip watering or neglect planting. It’s even harder if you have livestock – that’s a year-round, day-in day-out commitment to feed, water, and in the case of dairy, milk the cows every day! It’s one reason why we chose to grow vegetables – there’s an annual cycle which includes a much needed break during winter. 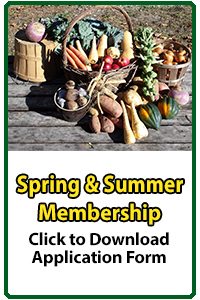 Though the advent of high tunnels has enabled us to extend the growing season enough to offer a Winter CSA share November through February, we still get a break before the cycle begins again in Spring. One of the first things we learned about our farm, was its’ designations as a National Heritage Landscape, which means it’s specially acknowledged as a historically productive farm. Additionally, it is also a recognized habitat for the protected eastern painted turtle, along with many native species of birds, insects, amphibians and animals. Also thrilling was learning there was a special turtle nesting area. Several years later, the farm was awarded a grant to rehabilitate the turtle nesting site. To protect the turtles, we raise mower blades to avoid turtles in the fields, and always keep watch for turtles and relocate them if necessary. This is one example of living alongside the wildlife on the farm. Usually, (don’t mention the deer and bear eating our corn this year) we manage to live in harmony with the creatures we share the land with. For instance, there are large brown bats in our barn and correspondingly few mosquitoes in the areas around the barn. This year we noticed that as the bat population declined slightly (they suffered from white nose syndrome like most Massachusetts bats) the mosquito population has increased. Luckily, a state naturalist told us the bat population should rebound stronger than ever with bats more resistant to the disease. Good news for us, bad news for the mosquitoes. One of the most beautiful residents of our farm are the butterflies. 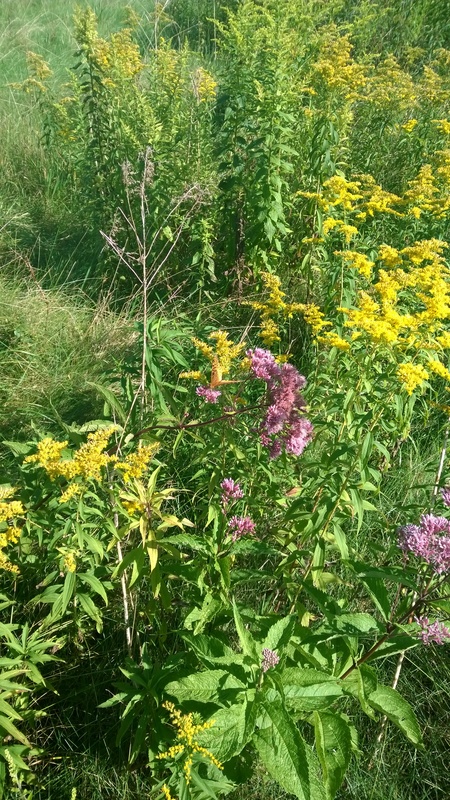 They are useful pollinators and there are many species present: swallowtails – both yellow and black, Melissa blues, coppers, sulphurs, and of course Monarchs. Monarchs, sadly, have declined in recent years. Five years ago there were hundreds of Monarch butterflies in the fields, but last year, the summer of 2015, we were lucky to see a half dozen. This year it’s thrilling to see many dozens of Monarchs all over the farm. We think our diligence in preserving their host plant milkweed, planting lots of flowers – plus the lack of any pesticide use – help keep many creatures thriving in addition to the Monarchs such as bees, dragon flies, frogs, toads, praying mantises, and many species of birds. If you’d like to join our farm community, experience our beautiful landscape and enjoy our certified organic produce, we have harvest and winter shares available. 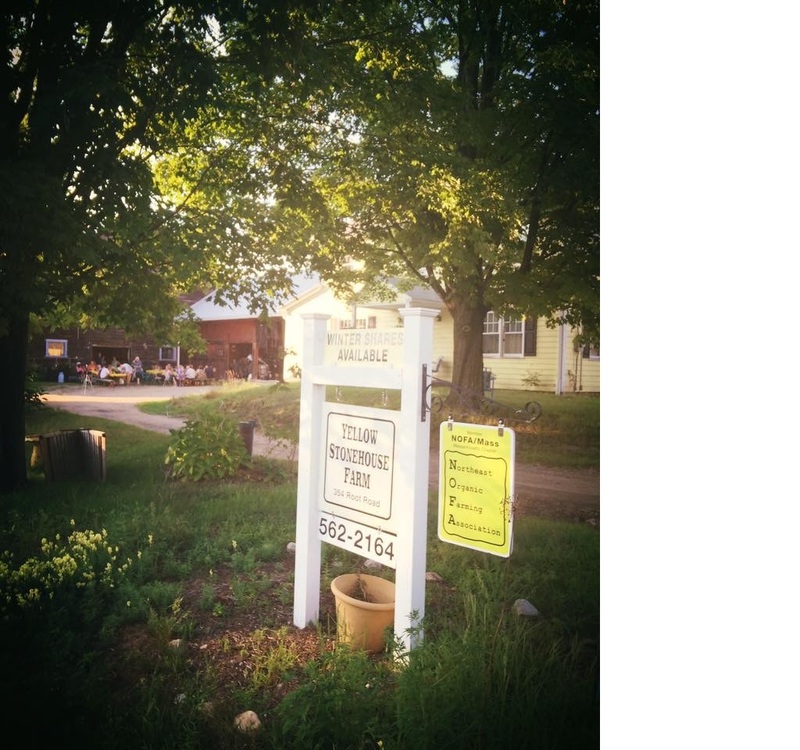 Check out our website or come see us in person – the farm market is open to the public Wednesday to Fridays from 3 – 6:30 pm & Saturday’s from 9 am – 2 pm. 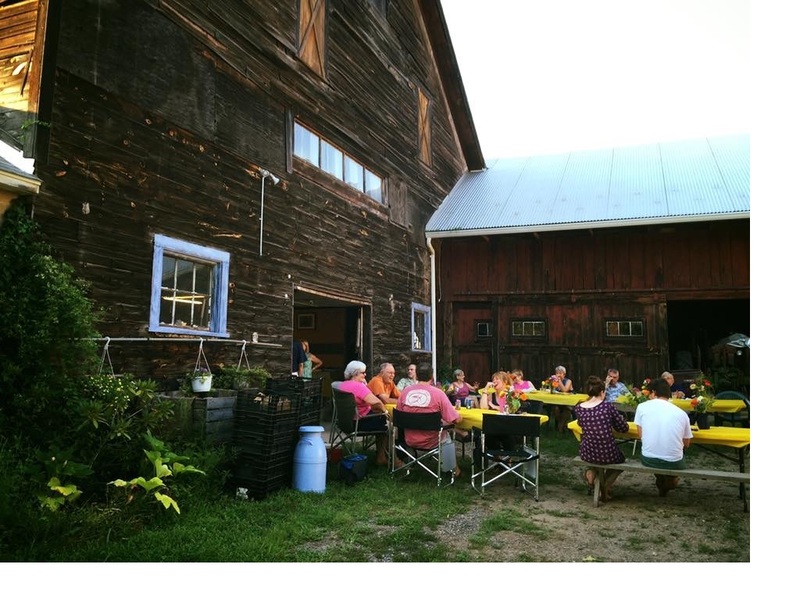 This past weekend, Yellow Stonehouse Farm hosted a potluck dinner for members and friends of the farm. We invited everyone to bring a dish to share plus a chair. 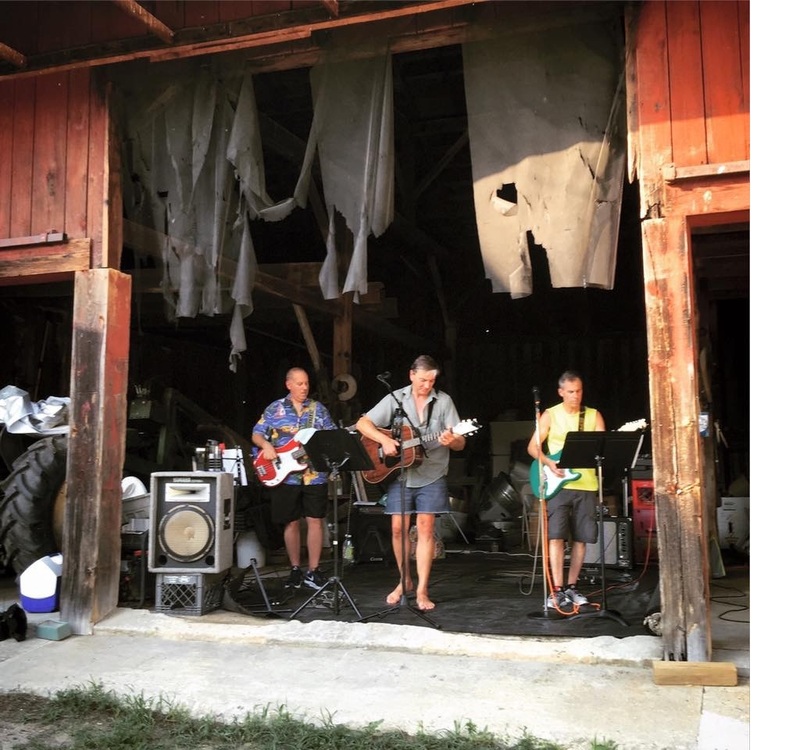 We provided the venue in the farm’s courtyard and set up the food in the barn along with the Western Mass band called Axis Mundi. We hoped to schedule it so the evening would be a little cooler and the tomatoes would be at their peak. We got one of the two right! Despite the heat – and boy, was it hot and sticky – everyone had a great time! Members met other members, shared recipes (did I mention how yummy everything was) and traded stories. It was an experience in community and fellowship that I feel is often missing in today’s fast paced world. Fellowship and sharing is what Community Supported Agriculture is all about – individuals coming together to support their local farm and farmers, and share in and celebrate the bounty of the harvest. John and I couldn’t run the farm without the support of our members! Not to mention that our members are really fun and witty, so nice and very talented. Did I mention the band, Axis Mundi, played throughout the party with only a brief stop for dinner? They played everything from Pure Prairie League to the Grateful Dead – with much singing along and bobbing of heads – and a grand time was had by all. A special thank you to our member Brett for helping with the arrangements including his guitar playing! A key aspect of CSA membership is that our farm is directly supported by the local community. 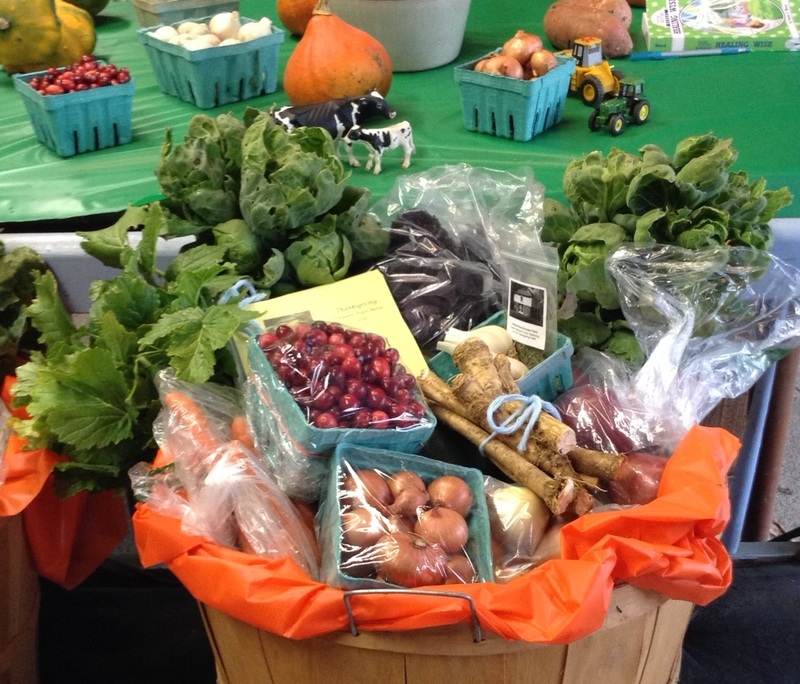 One of the key goals of sustainable agriculture is to support locally grown food. Yellow Stonehouse farm’s food is fresher (often harvested the same day), healthier (organic growing practices contribute to soil health which translates to healthier vegetables), with a smaller carbon footprint (the food isn’t travelling far), and if you know the farmer – you know their cultivation practices, i.e. 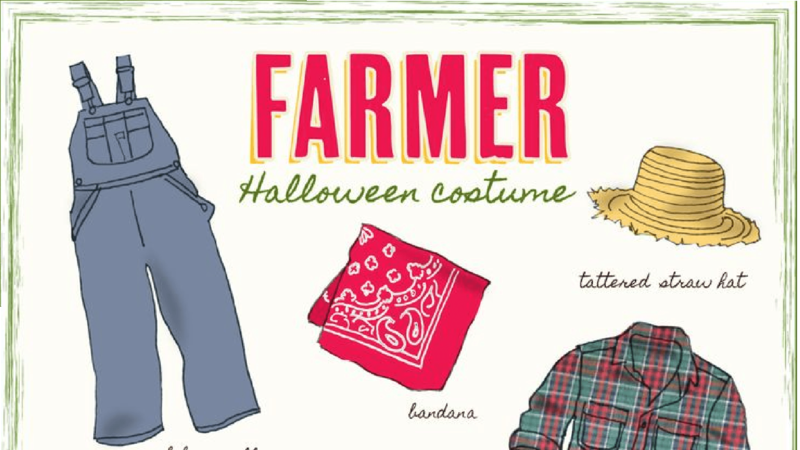 whether they are certified organic, using pesticides or GMO seeds, and respecting the land they grow their food on. 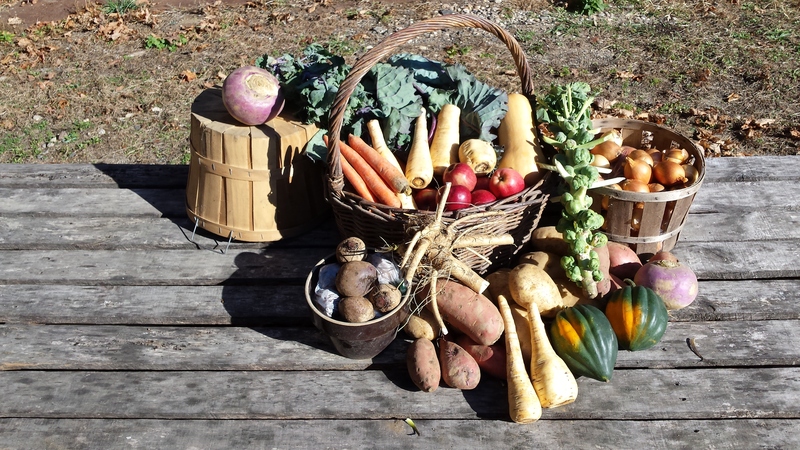 If you’d like to join our farm community, we have harvest and winter shares available. 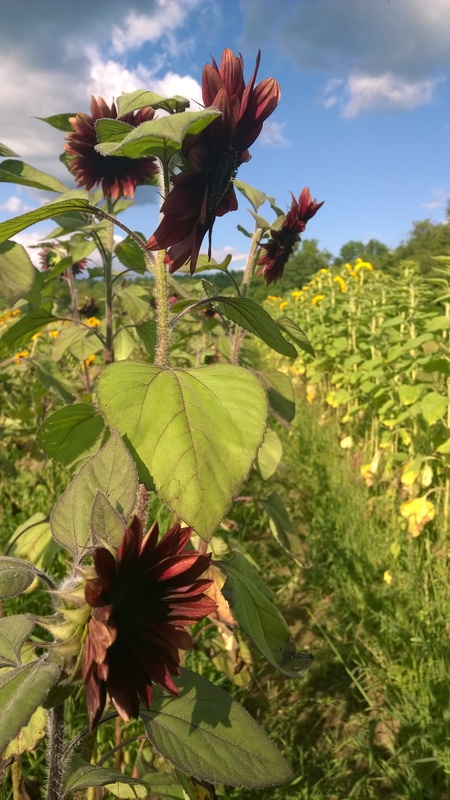 Learn about us on our website or come see our beautiful certified organic vegetables and flowers in person – the farm market is open to the public Wednesday to Fridays from 3 – 6:30 pm and Saturday’s from 9 am – 2 pm. Something most of us don’t think about is how dependent on weather we are. Our inattention is likely caused by the protection of our heated and cooled homes. Human built landscapes do cut us off from nature. Perhaps one reason some people don’t believe in climate change is this buffer … it allows us to ignore the elements, forget there is a climate out there. Until nature throws a punch or two, that is. As I observe the worsening weather, it seems as if the earth is trying to get our attention, telling us we are hurting it and its environment. The more we ignore the stresses to the planet the more violently the planet signasls us. Think of the recent floods in Texas, the extreme weather in the forms of tornadoes in the mid-west and the severe wild fires in the parched west – not to mention our local drought. New England is temperate, normally green and well-watered. While our farms may not be the size of mid-west factory farms, our land is exceptionally fertile and yields bountiful crops of fruit and vegetables. To grow vegetables to their full potential, the ideal is to receive one inch of rain per week. Without rainfall, plants become stunted, the fruit may dry up, or sometimes plants don’t grow at all. This year, nature has been a little off. 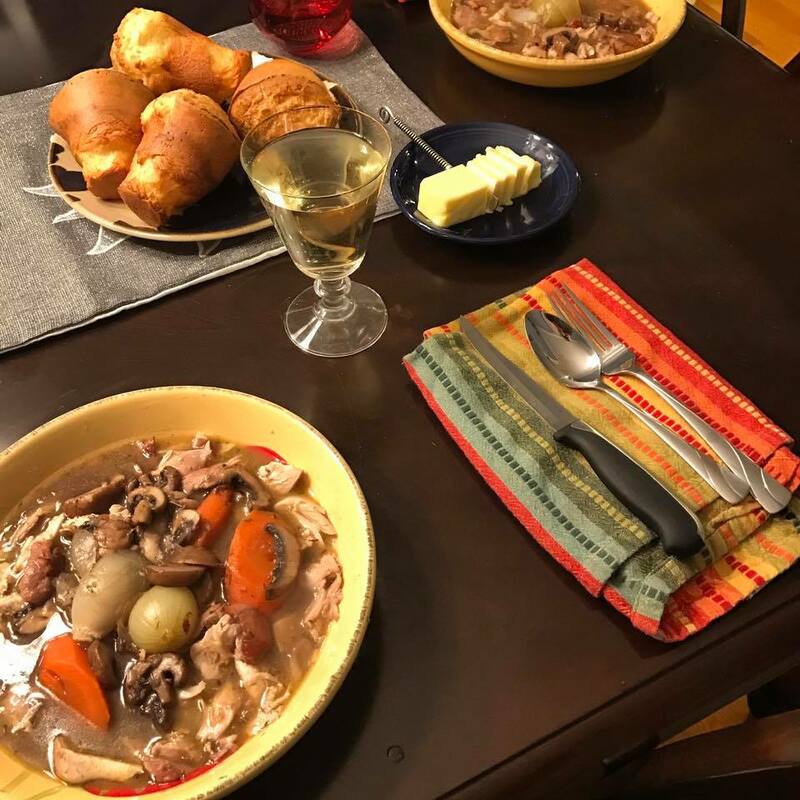 The winter was warm – without the freezing temperatures that reduce pest populations such as mice, chipmunks, voles and rabbits not to mention voracious plant eating insects. The Spring was cold and overlong – delaying the planting and germination of seeds and crops – and the amount of rainfall has been non-existent. Western Massachusetts is experiencing a significant drought – ranked from extreme to moderate with rain deficits in excess of 10 inches. Yellow Stonehouse Farm is lucky. We have water from wells originally dug to provide for 100 head of dairy cows. We’ve been able to irrigate our fields since June to keep the crops going until it rained. Which, Glory Alleluia – it did this past weekend. The rain we received – just under an inch – was enough to make our crops pop! Now that it’s rained, we have an abundance of produce. Come see our beautiful certified organic vegetables and flowers – the farm market is open to the public Wednesday through Fridays from 3 – 6:30 pm and on Saturday’s from 9 am till 3 pm.